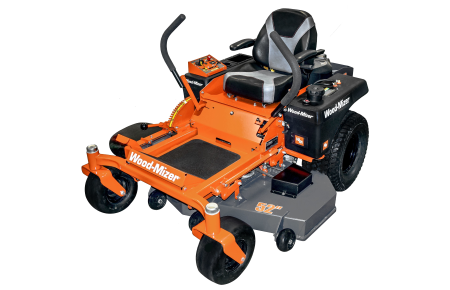 Mow your own acreage or your client’s property with Wood-Mizer residential and commercial zero turn mowers. 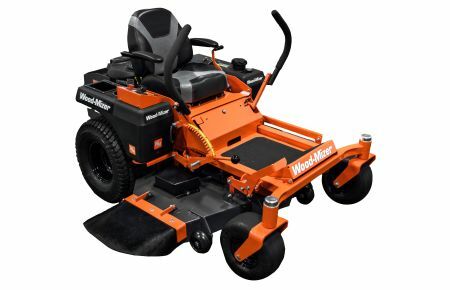 Designing and selling premium commercial mowers for high-end golf courses for more than 25 years, Wood-Mizer owned company, Lastec, has successfully engineered a high-quality, zero turn mower for residential or commercial use. Built in the USA, Wood-Mizer zero turn lawn mowers are strongly-engineered for homeowners, landowners, and lawn care professionals with sturdy welded steel decks, heavy-duty steel frames, and premium components. All Wood-Mizer zero turn mowers come with an industry leading warranty (5-year frame & deck, 3-year residential, 2-year commercial, no hour limits) and are backed by the same level of service, quality and safety features shared by the entire family of Wood-Mizer equipment. 52” zero turn mower with 26HP Kohler gas vertical shaft engine, three 18” flat mount high lift blades with 1” overlap, and 4.2 acres per hour at 8 mph production. 61” zero turn mower with 26HP Kohler gas vertical shaft engine, three 21” flat mount high lift blades with 1” overlap, and 4.9 acres per hour at 8 mph production.